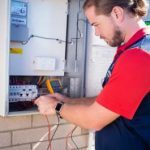 Armitage Electrical offer same day service for electric hot water systems in North Brisbane. We’re known for our reliable and trustworthy service and for our fair prices. 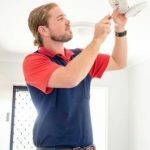 If you’re looking for a reliable licensed electrician to install or repair an electric hot water system at your home or rental property, contact Cameron today on 0433 578 622 or simply enquire online. 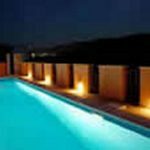 Armitage Electrical specialise in the installation and maintenance of electric hot water systems. If you’re looking to purchase an electric hot water system, we recommend Rheem or Vulcan brands which are cost effective and low maintenance, and have spare parts are readily available. Contact us to get an all inclusive supply and installation quote! Arrange plumber and hot water system (we can recommend a plumber if you don’t have one). Depending on time of enquiry, we can have your new system wired up within 3-4 hours of arriving onsite. If you’re experiencing issues with your electric hot water systems, send us a photo of your current system and we’ll provide a repairs or replacement quote, pending the cause of the issue. We prioritise hot water system repairs so you can have it fixed today. 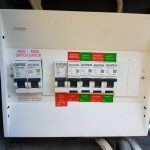 Contact Cameron from Armitage Electrical on 0433 578 622 for same day service. 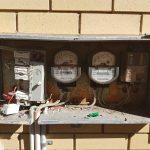 If you’re looking for a reliable, honest and trustworthy electrician to install or repair an electric hot water system in North Brisbane, contact Armitage Electrical today. Armitage Electrical offers same day service for electric hot water system repairs and installations – at a fair price. Contact Cameron today on 0433 578 622 for a free quote, or enquire online.